(i) That it is owed by someone who admits it and knows the amount and is willing to pay it. (ii) It is owed by someone who admits it, but he is in difficulty or is delaying payment, or it is with someone who denies it. In the first case, he should pay zakaah on the debt in addition to the wealth he has with him, so he should pay zakaah on all his wealth, and do that every year, even if he has not received it from the debtor, because it is like trust. And it is permissible for him to delay paying zakaah on the debt until the time he receives it, and then pay zakaah for all the past years. In the second case, he does not have to pay zakaah, but when he does receive it, in order to be on the safe side he should pay zakaah on it for one year, even if it was kept with one who was hard up or delayed payment, or denied it, for several years. The debt is the property of the lender, but because it is not in its owner’s possession, the fuqaha’ differed concerning it. Ibn ‘Umar, ‘Aa’ishah and ‘Ikrimah the freed slave of Ibn ‘Abbaas (may Allaah be pleased with them) were of the view that there is no zakaah on a debt, and the reason for that is that it cannot grow (through investment), so its zakaah is not due on it, like items that are kept for personal use. The majority of scholars are of the view that debt which is due is of two types: that which it is hoped will be paid off, and that concerning which there is no hope that it will be paid off. 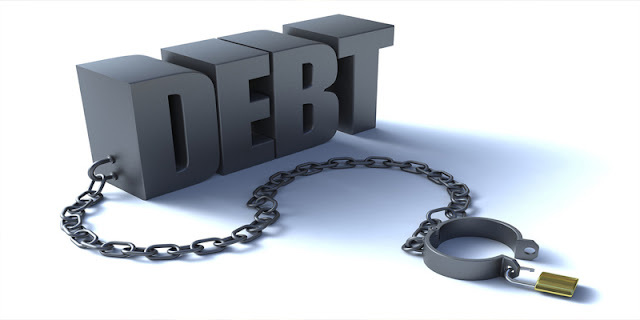 A debt which it is hoped will be paid off is that which is owed by one who admits it and is willing to repay it, and there are several views concerning this. The view of the Hanafis and Hanbalis, which is also the view of al-Thawri, is that zakaah must be paid on it by its owner every year, because it is wealth that belongs to him; he does not have to pay zakaah on it whilst it is not in his possession, but when he does take possession of it, he must pay zakaah on it for all years past. The basis for this opinion is that it is a debt that is confirmed to be owed, so he does not have to pay zakaah on it before he takes possession of it, and because he is not making use of it at present, so he does not have to pay zakaah on wealth that he is not making use of. But the entrusted item whose owner can take it at any time does not come under this category, rather he must pay zakaah on it when one year has passed. The more correct view of al-Shaafa’i, and of Hammaad ibn Abi Sulaymaan, Ishaaq and Abu ‘Ubayd is that he must pay zakaah at the end of every year on the debt that he hopes will be repaid , as in the case of wealth that is in his possession, because he is able to take it and dispose of it. The Malikis regarded debts as being of different types: the zakaah of some debts is to be paid every year, namely the debt of the merchant who buys and sells for trade; zakaah is to be paid on the price that he is owed for the trade goods. In other cases, zakaah is to be paid when one year has passed since [the lender] first acquired it, and it is to be paid for only one year, even if it stays with the borrower for many years. There is no zakaah on some kinds of debt, which is that which he did not take possession of, such as a gift, mahr, or compensation for an injury and the like. In the case of a debt for which there is no hope of repayment, which is what is owed by one who is hard up, or who denies it, or is delaying repayment, there are several opinions. The opinion of the Hanafis in this case, which is the view of Qataadah, Ishaaq and Abu Thawr, and is mentioned in one report from Ahmad, and is the view of al-Shaafa’i, is that there is no zakaah on it, because it is not fully in his possession, because he is not able to make use of it. Maalik was of the view that he should pay zakaah when he takes possession of it for one year, even if it stayed with the debtor for several years. This is the view of ‘Umar ibn ‘Abd al-‘Azeez, al-Hasan, al-Layth and al-Awzaa’i. What we think is most correct in this case is that which was mentioned in a fatwa issued by the scholars of the Standing Committee for Issuing Fatwas and by Shaykh Muhammad ibn Saalih al-‘Uthaymeen. The correct view is that zakaah must be paid on it each year, if it is owed by one who is rich and willing to pay, because it comes under the same ruling as wealth that you have with you; but he should pay it when he takes possession of the debt, and if he wishes he may pay zakaah on it with the zakaah of the rest of his wealth. The former is a concession (rukhsah) and the latter is a virtue, and is more expedient in discharging one’s duty. But if it is owed by one who is delaying payment or one who is hard up, then no zakaah is due on it, even if it remains for ten years, because he is unable to dispose of it, but if he takes possession of it, he should pay zakaah once, for the year in which he took possession of it, and he does not have to pay zakaah for the time that has passed. 1. It is akin to crops on which zakaah must be paid when they are acquired, and rent, concerning which Shaykh al-Islam favoured the view that zakaah must be paid on them when taking possession of them, even if a full year has not yet passed. 2. One of the conditions of zakaah being obligatory is that one must be able to pay it; when one is able to pay it, then zakaah must be paid. 3. A few months of the year may have passed before he gave it as a loan. 4. Waiving zakaah for what has passed and making it obligatory to pay zakaah for the year in which one takes possession of it only makes things easier for the owner, because how can we oblige him to pay zakaah when he is obliged to give the one who is hard up more time? It is also making things easier for the one who is hard up, by giving him more time. An example of that is wealth that is buried and forgotten. If a person buried his wealth for fear that it might be stolen, then he forgets its whereabouts, he should pay zakaah only for the year in which he found it. Another example is stolen wealth, if it remains with the thief for several years, then its owner manages to find it; he should pay zakaah for one year only, like the debt that is owed by one who is hard up.